Can I refer GrabFood as a ‘food delivery marketplace’? At Grab, we are serious about food. 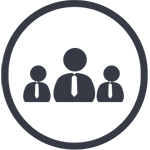 As a natural extension, GrabFood carefully selects only the best restaurants and chefs to work with. Curated restaurants means gastronomic adventure without risk and the end of wasted calories. Each order will satisfy the biggest of foodies. Our service operates daily, between 10AM to 12AM (last order). 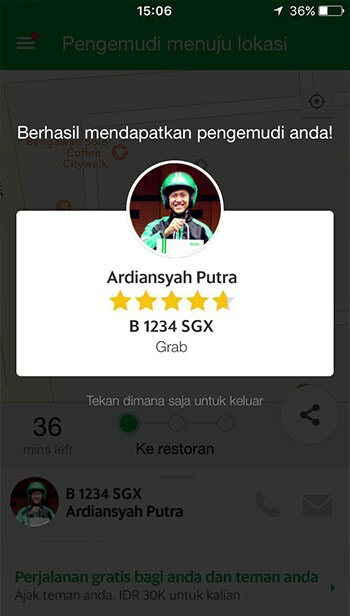 GrabFood is actively operating in Jabodetabek, Surabaya, Bandung, Bali, Makassar, Medan, Palembang, Semarang, Yogyakarta, Malang, Solo, Manado, Batam, Bandar Lampung, Cirebon, Samarinda, Pekanbaru, Balikpapan, Padang, Pontianak, Banjarmasin, Jambi, Sukabumi, and Cimahi. Cash payment is available in all GrabFood operating cities. Ovo is now available in Jabodetabek, Bandung, Surabaya, Medan, Makassar, Yogyakarta, Semarang, Bali, Lampung, and Palembang. We are working on expanding cashless payment to all operating cities. How much will it cost me for a single order? 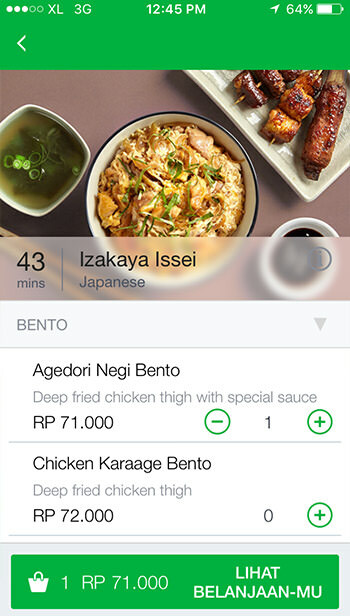 The delivery fee for each GrabFood order starts from IDR 3,000. Any changes of delivery fee or promo will be informed to users through the apps. What type of cuisines do we offer? 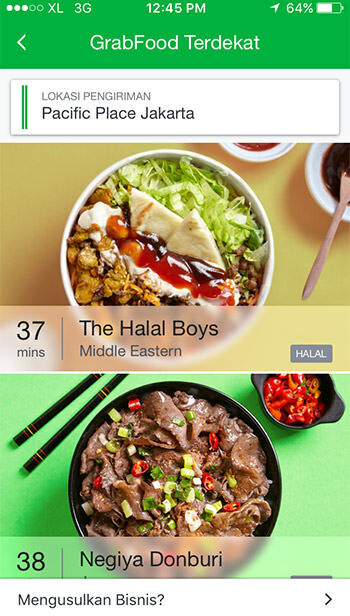 GrabFood offers a wide selection of cuisine – Indonesian, Western, Asian, European, Fusion and more. Also, we offers you some best selections of local street food in Jakarta. We will always try to make innovation to serve you the best culinary experience on GrabFood. What restaurants are available in my area? Your available list of restaurants is determined by estimated delivery time and proximity to your delivery location. Nearby restaurants and insulated bags also means receiving food hot and fresh, just as you would dining in. Why are there no available restaurants in my area? For now, we’re operating only in Jabodetabek (Jakarta, Bogor, Depok, Tangerang, Bekasi) area. If you’re out of reach, please do check back again. We plan to expand to more locations soon. I’m hungry, where is my food? 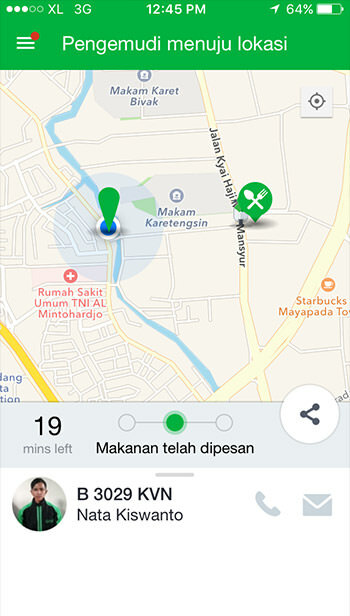 One of GrabFood’s features is the ability to track and anticipate the delivery of your food in real time. Food is not moving? Give your rider a call. I’m dissatisfied with the food quality or delivery service. What should I do?